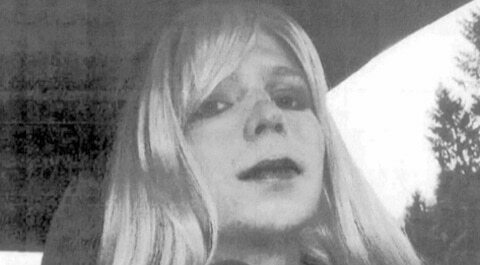 Manning sued the federal government for access to the treatment. The Army referred questions about Manning to the Department of Justice, which has been handling the case. Nicole Navas, a Justice Department spokeswoman, declined to comment, saying the government's position is detailed in court filings. Back in September, the American Civil Liberties Union sued Secretary of Defense Chuck Hagel on behalf of Manning. The ACLU did not have an immediate comment on the Army's memo. Transgenders are not allowed to serve in the U.S. military and the Defense Department does not provide such treatment. The Department of Veterans Affairs, however, does provide the treatment for veterans. The Army's decision means it is simply fulfilling its obligation to provide Manning with medical care, said Mara Keisling, executive director of the National Center for Transgender Equality, an advocacy group based in Washington. Failing to do so would be "cruel and unusual punishment," she said. Manning is currently serving a 35 year sentence in Fort Leavenworth, Kansas after being convicted in 2013 of leaking thousand of classified military documents.